Ensuring your core is strong and flexible will help you in the gym, playing sports or just going about your daily business. 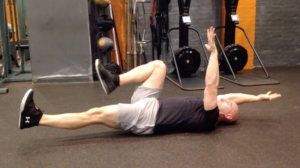 A strong core will also help you maintain good posture and avoid issues like lower back pain. 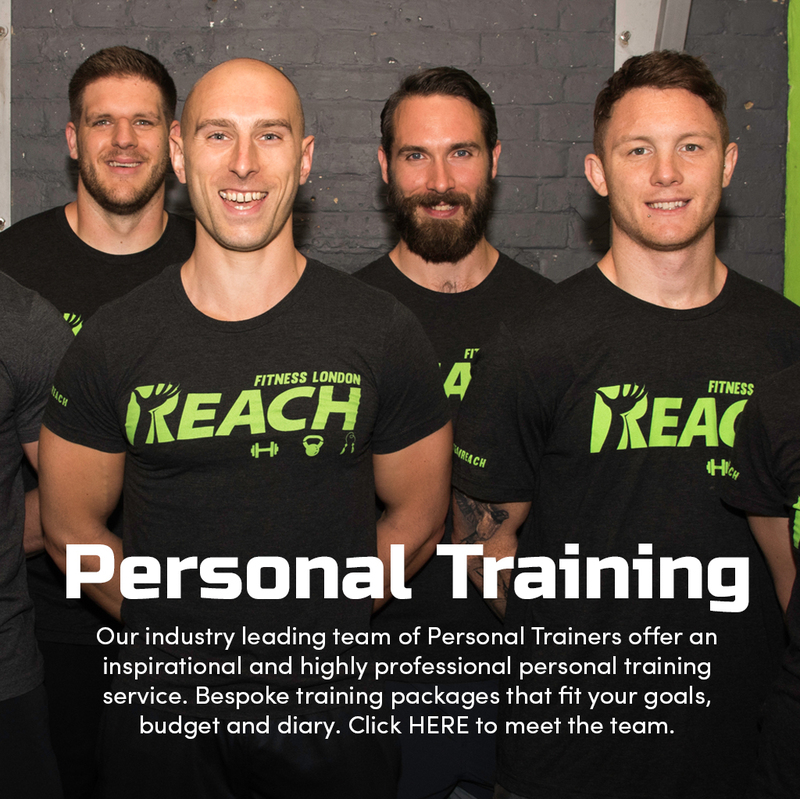 Basically, core exercises are a must for any fitness routine, so we asked Richard Tidmarsh, strength and conditioning coach and founder of Reach Fitness, for the moves he recommends for beginner, intermediate and advanced gym-goers. The definitive core exercise. The plank involves minimal movement but maximal effort, requiring you to support your body on your forearms and toes while holding your body in a straight line from your shoulders to your ankles. You can make it easier by resting on your knees, or harder by extending your arms so you’re supported by your hands. Lie on your back with your arms extended straight up towards the ceiling, and your legs raised with your knees bent at 90°. Lower your right arm and left leg at the same time until they are hovering just above the floor, then return to the starting position. Then do the same with the opposite limbs. Sit on the floor with your knees bent. Lean back slightly, keeping your back straight, and hold your arms out in front of you as you raise your feet off the ground with your legs together. If you can, extend your legs so they are straight and your body forms a V shape. You can also raise your arms and spread your legs to make the hold harder. 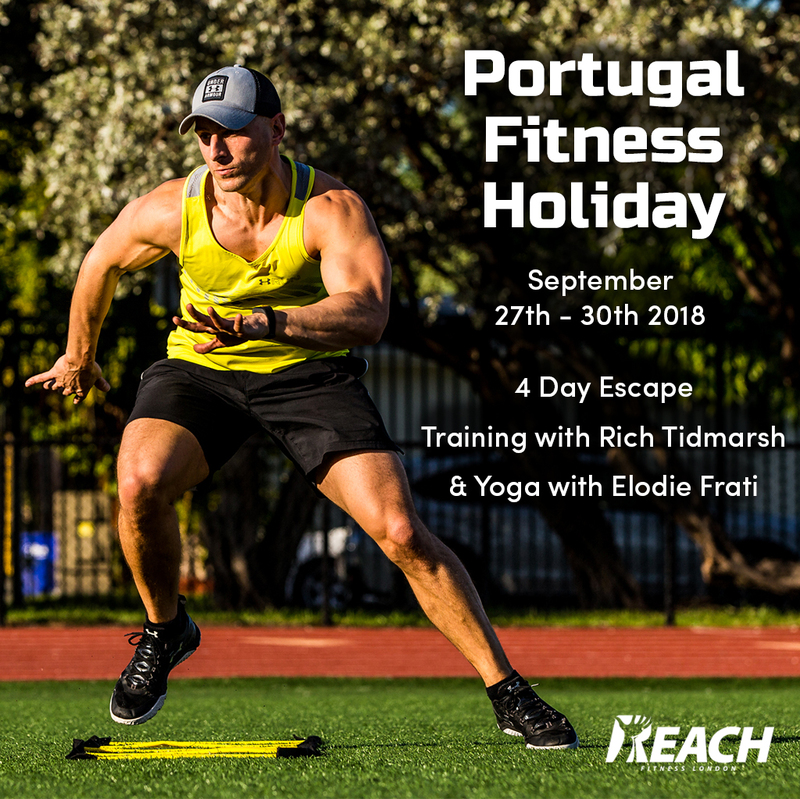 Naturally you can do each of the exercises as part of a training session, but for a beginner core workout try this suggested routine from Tidmarsh, doing five rounds in total of these three exercises. Get into a plank position with your feet spread and your forearms resting on a gym ball. 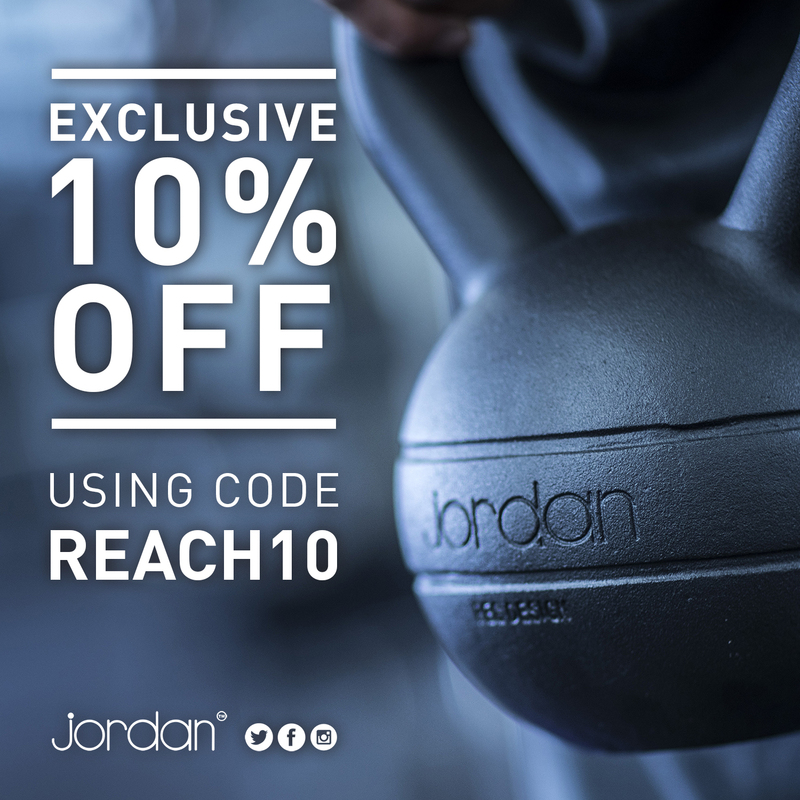 Push the ball away with your forearms, then pull it back it, while maintaining the plank position. 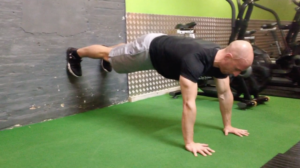 On a set of dip bars, hold yourself steady with arms fully extended. Raise your knees towards your chest, then lower them slowly. Repeat. 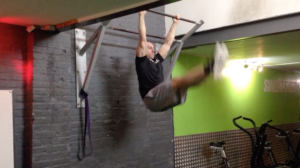 You can also do this exercise hanging from a pull-up bar. Get into the top press-up position. Put a dumbbell on the ground just to the right of your torso. 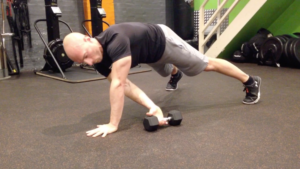 Reach underneath and across with your left hand to grab the dumbbell and drag it to your left side. Then mirror the movement with your right hand. 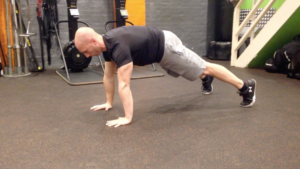 If you want to combine three movements in one workout, here’s Tidmarsh’s suggested routine. Do three rounds in total of the three exercises. We did say these were advanced exercises, and this is certainly not one for newbies. While hanging from a pull-up bar, bend at the hips (not the waist) and lift your toes to the bar, keeping your legs together as you move. Use a pair of parallettes for this core cruncher. 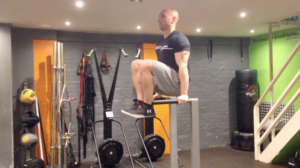 Lift and hold yourself up above the parallettes with your arms extended. 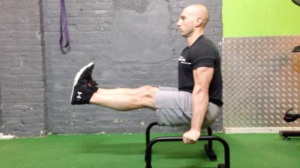 Extend your legs straight out in front of you so you form an L-shape. Hold it – if you can. Another savage hold exercise. Get into an elevated plank with your feet against a wall so you form a flat, horizontal line from heels to head. Hold. HOLD! 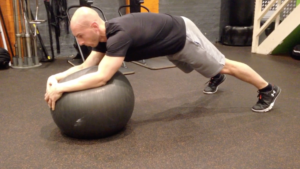 Put these three exercise together for this quick but brutal core workout designed by Tidmarsh. Do three rounds in total. I like this blog very much.Its so beautiful service and blog site. 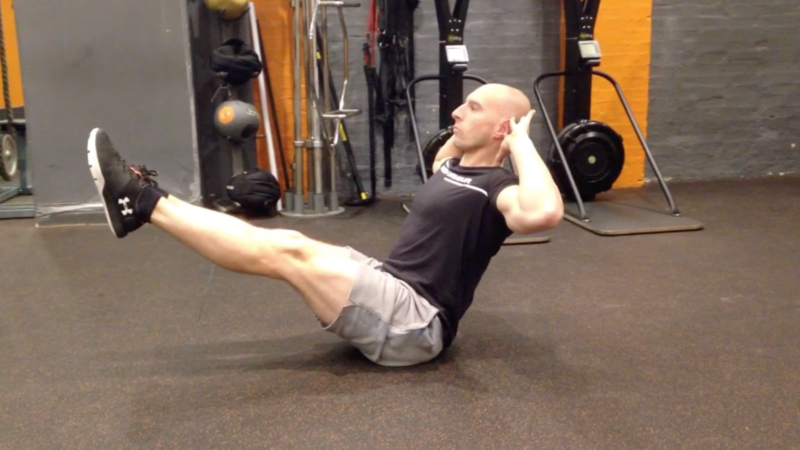 Core Exercises is one of great Exercises.